Volvo has made improvements to its S40 and V50 DRIVe models with start/stop which both now emit just 99g/km of CO2 meaning annual VED is zero. At the same time claimed fuel economy has improved slightly to 74.3mpg from the previous 72.4mpg, making both models incredibly cheap to run. The reduction in CO2 emissions from the previous 104g/km figure is down to the use of an upgraded 1.6-litre diesel engine which meets the Euro 5 exhaust emission regulations being implemented in January 2011. Along with a six-speed manual gearbox and the engine start/stop function, CO2 emissions have been cut by a crucial 5g/km, dropping both models below the key 100g/km mark. The upgraded 1.6-litre diesel is also fitted to the Volvo C30 DRIVe, which already emitted 99g/km of CO2. 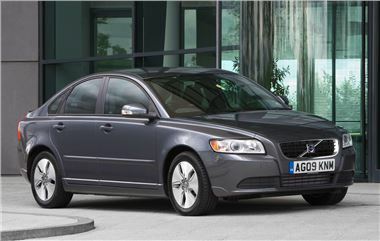 In addition to the Volvo C30, S40 and V50 there are currently another two models with CO2 emissions below 120g/km - the Volvo V70 (119 g/km) and Volvo S80 (119 g/km). In early 2011, these will be joined by the Volvo new S60 (under 115 g/km) and Volvo V60 (under 119 g/km).